Professor Eric Stade with students at Lafayette's Pioneer Elementary. 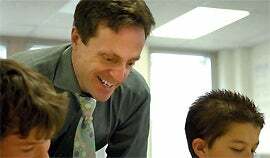 The CU Boulder Department of Mathematics is actively engaged in outreach to local K12 schools and to the community. With generous support from the CU Boulder Outreach Committee, Math Department faculty, graduate students, and undergraduates (math majors, minors, and students from such courses as MATH 1110/1120: Mathematics for Elementary Educators and MATH 1130: Mathematics from the Visual Arts) have initiated, organized, and participated in a variety of engagement initiatives. 2006-present: Development and staffing of various interventions---including in-class facilitation; one-on-one tutoring; Math Clubs, Math Homework Groups, Math Nights, Talented and Gifted programs, filed trips to the CU campus, and so on---at a number of BVSD schools, including: Whittier Elementary and the Boulder Community School of Integrated Studies in Boulder; Ryan, Pioneer, Lafayette, and Sanchez Elementary Schools in Lafayette. 2012: Development of an outdoor mathematics exhibit at Platt Middle School in Boulder. 2014-present: Co-sponsorship, with the CU Boulder Department of Applied Mathematics, of the Colorado Math Circle. 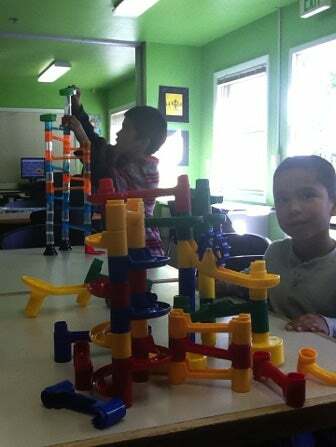 Summer 2011: Development and implementation of a six-week Math Enrichment program for the Family Learning Center in Boulder. The success of this program was encapsulated by one particularly notable statistic: immediately prior to the program, 32% of FLC students agreed with the statement “I think math is fun;” immediately afterwards, that number jumped to 70%. Spring 2009, 2011, and 2013: Presentation of a mathematics talk entitled “Fibonacci Numbers and the Golden Ratio: why can’t we all just get along?” as part of CU-Boulder’s “CU Wizards” public lecture series. Attended each year by over 300 middle school students and their families. Summer 2014 and 2015: Hosting, and development/delivery of a math workshop, for the Summer Research and Mentoring Program for Underrepresented Groups in Engineering. Summer 2015: Development and delivery of “Visual Mathematics Academy,” a three-week mathematics course for students enrolled in the CU Summer Discovery program. 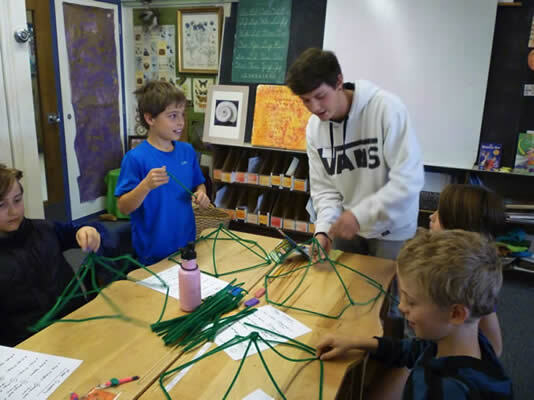 Students from "Mathematics from the Visual Arts" (MATH 1130) bring the Platonic solids to life for 3rd graders at a BVSD elementary school.